musha | Cartridge Power !!! 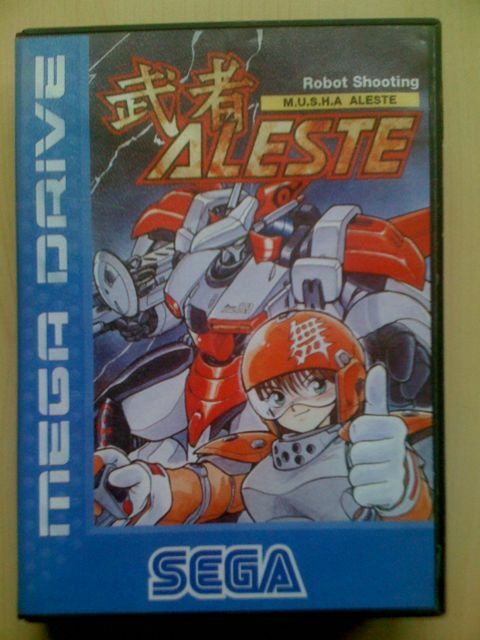 Musha Aleste… a legendary title, that many consider as THE best shoot on Megadrive ever. 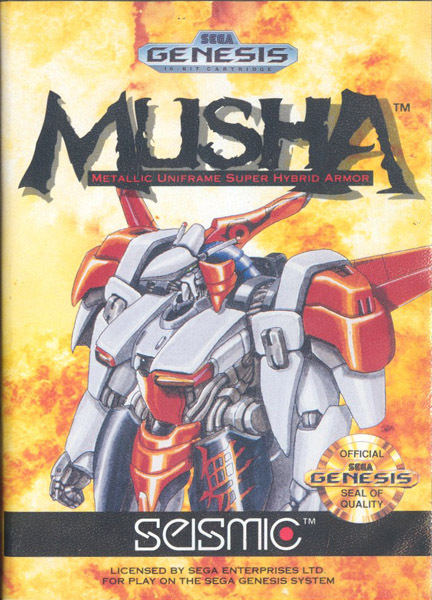 Acronym for Metallic Uniframe Super Hybrid Armor, it was only released in Japan and USA. This game is a star of imports. 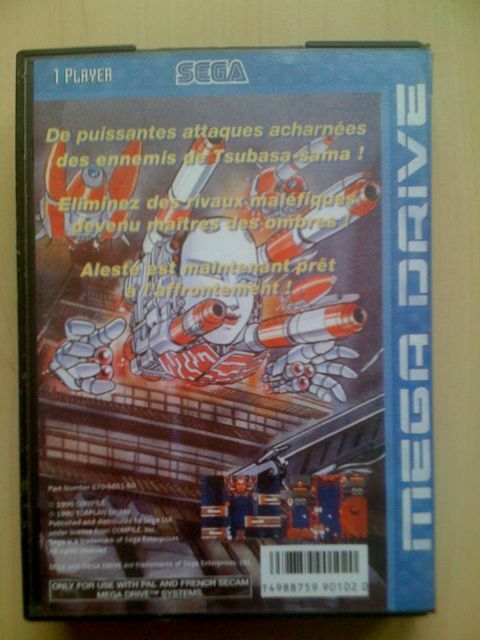 It is not magic but cartmodding : a original megadrive game cartridge is opened and dismounted. A new ROM is placed inside. The insert and game sticker are to be created from scratch. 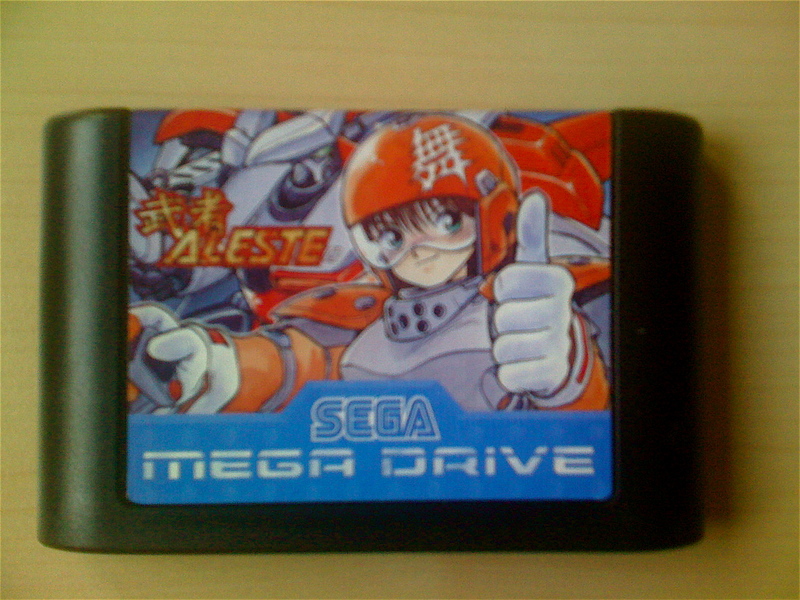 So, you will get a rare game (never released in a country or slighty modified) in a true Megadrive cartridge, compatible with your original hardware. You are ready to feel a whole new experience with your european Megadrive !